I really like Krakow. With its beautiful Market Square, majestic Wawel Royal Castle, and charming cafes in the Old Town, it is undoubtedly one of the must-see Polish cities. When I heard that the Mobiconf 2015 mobile technologies conference was going to be held in this fascinating city, it was a no-brainer - I just had to be there! The Conference took place in the “Multikino” multiplex cinema. Although it was a few kilometers from the city centre, the concept of holding a conference in a cinema turned out to be a winner if only for pragmatic reasons - the presentations really benefited from the tip-top sound and image quality. The conference was organised into 3 streams - the first for everything related to mobile technologies (UX, UI, project management and other general issues related to mobile apps) while the second was dedicated to iOS and the third to Android. There were 29 talks in total and because all 3 streams ran concurrently sometimes we faced a tough choice deciding which one to attend. As an iOS developer, I naturally gravitated towards the stream dedicated to Apple technologies. Ash showed us all how asynchronous programming in iOS has changed over time. He described solutions beginning with NSThread and NSOperation, through blocks and GCD, and ending with NSProgress and NSURLDataTask. At first glance, the title of the presentation gave the impression that it would just be a descriptive, historical presentation. In reality, although Ash spoke about technical solutions, he also shared also some important, general insights into the iOS developers’ community and a possible approach for choosing a particular technology stack. ease of finding and hiring developers. “Those who don’t study the past can’t make informed decisions about the present”. This presentation was not only a pleasure to attend but also thought - provoking. Marin Todorov - Power up your animations! Marin is well-known in the iOS community for his open-source contributions and great tutorials for creating animations. His demo with powerful and impressive animations showed just what you can achieve if you know your way around layers and animation libraries. It wasn’t a step-by-step tutorial, rather an inspiration to devote some time, experiment and make your apps more pleasing the eye. Definitely worthwhile if you care about the visual aspects of your apps. One effect of Apple launching Swift is a rising interest in a functional programming paradigm among iOS developers. Unfortunately, concepts like pipelines, higher-order functions or monads are unfamiliar to many people (including myself) who were brought up on a diet of Objective-C and have many imperative-oriented habits. Junior demonstrated how to use functional concepts - Futures and Promises in everyday cases (making server requests and handling responses). With this approach, we can create more scalable, robust and clearer code. Junior also threw in some tips on how to get started with a functional approach. Food for thought indeed - it turns out it could be worth revising some of those old programming habits and trying to think different sometimes. The last thing to mention, perhaps, was the evening party for the Conference participants that took place in a tram riding through Krakow. Now, I’m not only an iOS geek but also an ardent Brazilian jiu jitsu nerd, so here was my dilemma - should I go to the party or visit the local jiu jitsu academy instead. In the end, I couldn’t resist a spot of training and decided to visit the academy where the level of jiu jitsu turned out to be really high indeed. Of course, the next day I heard that the Tram Party had been fantastic, so I sort of wish I’d gone along and so I promise that next year I will be there and down some beer! To sum up, I reckon Mobiconf is a perfect conference for all those interested in mobile programming who don’t only want to gain a deeper insight into the latest trends but also to review the way they perceive existing solutions. The inspiring talks, smooth organization and the beauty of the city definitely make it tempting to hit Krakow next year. 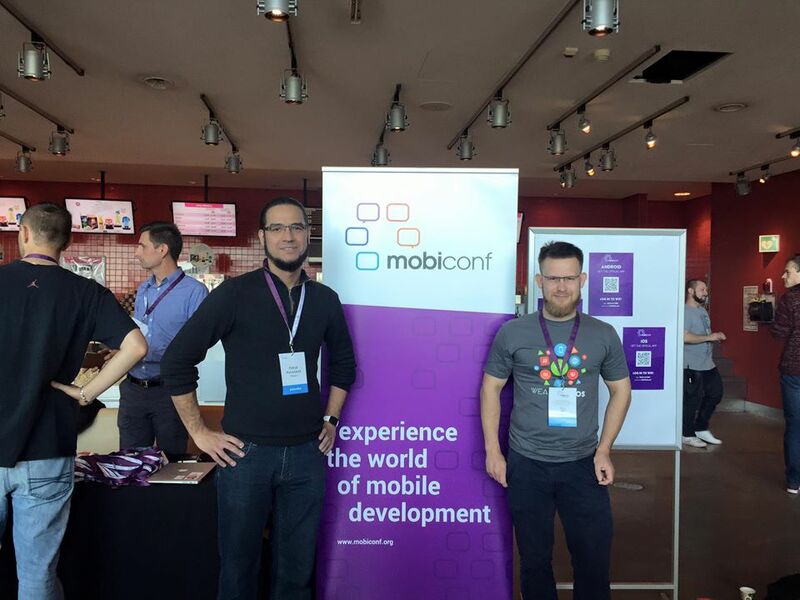 Have you already been to a Mobiconf conference? And if so, did you enjoy it? I’d be keen to find out what you think, so please share in the comments below. *Would you like to read some more about iOS? Sign up for our iOS Brief and get a monthly portion of curated content straight to your inbox. No spam, just pure quality meat!